The St. Mary's Arboretum is pleased to invite the public in for its first 2012-2013 calendar event on Saturday, August 11. Meet Craig Highfield, Program Manager for Forestry for the Bay, and learn simple techniques useful for small landowners here in Southern Maryland who wish to be good environmental stewards of their properties. Owners of even just a few acres can make a positive difference in their environment through planning and implementing simple stewardship practices. By enhancing wooded areas or creating natural areas on your lot, you can enjoy recreation, aesthetics, wildlife and improved water quality. Also explored will be invasive species identification and control. 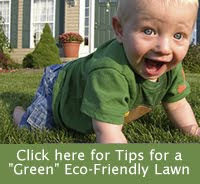 Unsure of something in your yard that appears to be invasive, climbing or crawling everywhere, taking over? Bring a piece of it to the session and let Craig identify it for you!